MAKEACHAMP is the leader in crowdfunding for competitive sports. Our global platform aims to level the playing field and ensure every competitive athlete gets the support they need to succeed. Behind every champion, there’s a crowd of supporters, and we’ve got the stats to prove it. Over 18,000 athletes, teams and clubs from 52 countries leverage the power of crowdfunding on MAKEACHAMP to raise funds, share their story and grow their fanbase. Six of these athletes made it to the Sochi 2014 Winter Olympics, and more went on to become local, national and international champions. Our hard working team is here for you around the clock and dedicated to making sure each athlete and supporter’s experience is a positive one. We’re revolutionizing sponsorship in sports. High costs and limited funding opportunities mean talent doesn’t always make it to the podium, let alone the competition. MAKEACHAMP is the solution offering every promising athlete the opportunity to succeed. How? By equipping athletes with innovative micro-sponsoring and self-marketing tools, we help athletes build a fanbase and grow their network over the long-term as they crowdfund specific goals. Our platform is also about empowering people: to impact the development of rising stars and cast a vote on who they want to see become the next champion. Create a profile to share your story, raise funds and engage your fans across social media. We’ve got your back with tips and technology, providing an integrated online presence that you can update anytime, anywhere. Be a part of the journey from the beginning. Join the most powerful community of supporters backing competitive athletes around the world. Your support helps rising stars get to competitions, train safely, eat right, sleep better and stay focused. 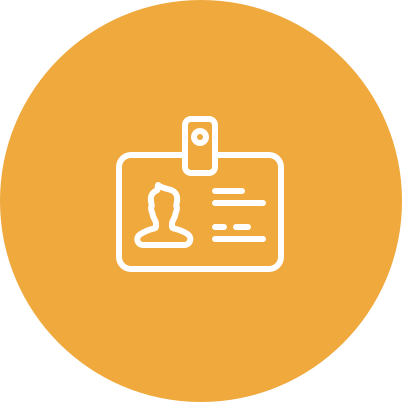 Every single athlete goes through an identity verification process before they appear on our platform. We also believe social verification and peer review by online communities can be as effective as any auditor. We strongly encourage athletes to add pictures as well as links to their Facebook, Twitter and Instagram accounts. When it comes to crowdfunding, we work with PayPal for its world-class security to assure each transaction is protected. MAKEACHAMP has been for-profit and independently financed from the start. No investors, expensive media agencies or ownership by corporate sponsors mean we don’t bow to outside pressures. We’re committed to our community. More useful, awesome tools for e-mail promotion, team management and social media integration. Stunning athlete pages that are permanent and FREE. They come with full-screen pictures, movies, social media tools, bio, achievements timeline, rewards management and more. Unmatched 24/7 customer service in over 40 countries. Advice and guidance from crowdfunding experts, including tips, problem solving, and strategy for your campaign. Bigger reach: we’re the only platform that’s global and provides localized payment methods. And in the future, we’re working to bring you travel bookings, ever greater international networking opportunities, localized roadmaps so athletes can find the best travel, accommodation, training facilities, and more. *MAKEACHAMP is totally free from platform fees since January 2018. No membership fees or setup fees. That means you don’t have to invest money to raise money. You however have to plan a 2.9% charges from the money you raise to cover the banking processing fees. View the pricing page for more details. Started by athletes for athletes, MAKEACHAMP is a platform born from the struggle to secure funding in competitive sports. 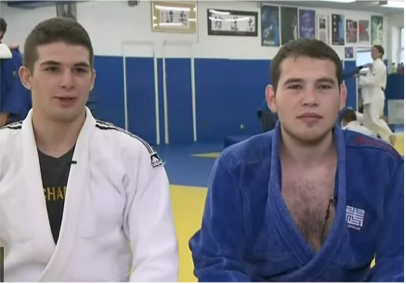 David Ancor is a Canadian athlete, aspiring to compete in the Rio 2016 Olympic Games in Judo. It was upon his return from representing Canada at the judo World Junior Championships in 2012 that the idea behind MAKEACHAMP was born. Specifically, it was when he received a bill of about $5,000 from the Canadian government for his plane ticket, hotel and other expenses. Feeling a little defeated, David turned to fellow judoka and web programmer, Michael Shpigelman. He asked Michael whether he could make him a site where people could send their support with one simple click. This idea was quickly transformed into a much bigger undertaking: creating a platform where all athletes could find financial and moral support from a larger community.